Streaming apps have brought advertisements into a new light. 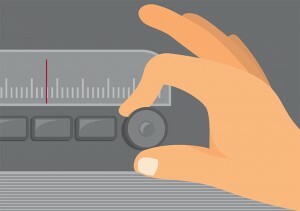 The rise of the Internet has led way to a focus on digital marketing techniques and the perception that radio is a relic of the past. In fact, radio may be more beneficial to people than most people might think. Digital advertising was all the rage when text links and banners were a “step up” from broadcasting due to the large amount of the population spending their time online. As expected, technology advanced and the mobile revolution began. Therefore, what made sense to target consumers through digital ads began taking a step backwards. The mobile revolution has led to radio becoming more prominent in today’s culture due to the development of new streaming apps that allow users to access their favorite radio stations through their mobile phone. According to Steve Doctrow, of Rogers & Cowan, the newer generation, also known as the Millennials, is growing up with multiple entertainment options delivered right to their phones. The mobile movement has brought advertising and marketing into the new ages and has opened up new strategies for businesses and companies to reach out to their consumers. It’s a win-win for the advertising industry as the concept of radio still remains prevalent in today’s society and the consumer base still has a new medium for which they can be reached at. New apps where you can stream your music even include advertisements in between songs. The transition is looking smoother than ever. It takes a lot for your ecommerce site to succeed. About a decade ago, simply having a site may have been enough. If you just had the best product or service, you could generally rely on word of mouth to do most of the heavy lifting for you. Then all you had to do was sit back and let your site collect money for you. Unfortunately, that’s not the way things work anymore. If your site’s features aren’t all top-notch, then don’t expect much. In fact, you might actually find that you simply wasted a lot of money trying to get business when you ended up with a big fat zero instead. While many components are fairly obvious, quality shopping cart services are often forgotten about. Far too many website owners simply go with the cheapest option for this important facet of their site. 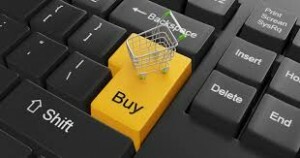 They act as though an online shopping cart is barely as important as the real world kind. But that shopping cart is the last thing a customer is going to see before they decide to make their purchase. You simply can’t afford to screw this moment up. With a high quality software, customers will move uninterrupted to completing the transaction, putting money in your pocket. No ecommerce website is complete until it has its own ecommerce cart software. If your company currently lacks on, stop settling for lackluster results. Let Secure Net Shop help you with this essential asset.